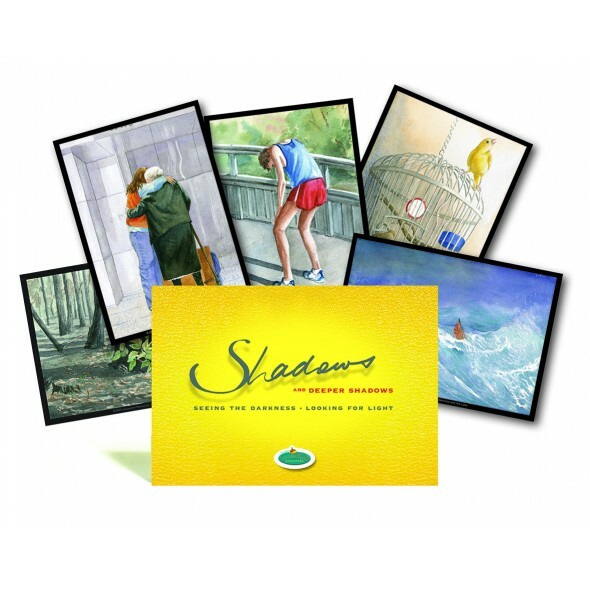 Shadows is an emotionally charged set of 48 watercolour images. This resource acknowledges that pain and suffering (such as grief, loneliness, depression, loss and violence) often need to be 'storied' before resolution is possible. These iconic images (including a boat on a stormy sea, a person asleep on a park bench) invite the viewer to reflect on their experiences and explore the meaning of the 'shadows' in their lives. Contained in the images are subtle suggestions for hope and light. 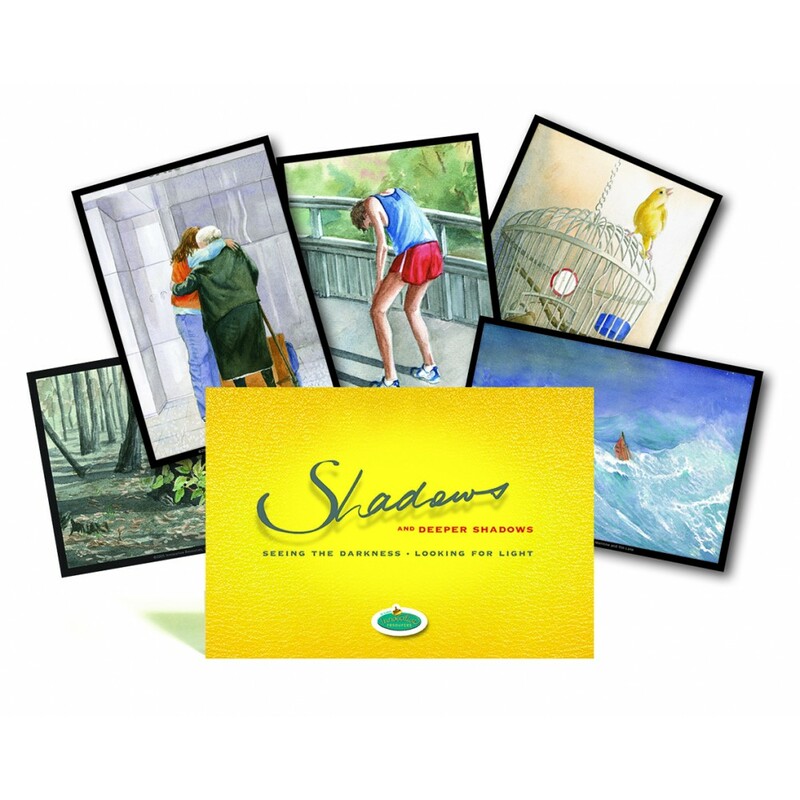 Choose a card that represents a challenge in your life. In pairs or triads, talk about what you feel/see in this card. How does it relate to you right now? Select a card. What happens next in this picture? Who is present? What is said? Write a description/short story about what happens. Randomly select a card. Brainstorm a list of words that come to mind. Create a page from an imaginary scrapbook using these words with pictures/photographs/bus tickets/leaves, etc. Select a card. Are there hopeful possibilities? Explore what these may be.